After 4 decades in the market, Big Chief approached us to provide them with a fresh new look. A look that would stand-out in the highly competitive convenience store market. 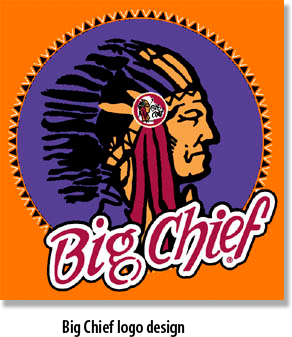 The Big Chief Beef Jerky project included the creation and design of: Logo identity, `Bite Me`slogan, Corporate Stationery, Marketing and Product Collateral, Product Packaging, Signage, Vehicle Graphics, Sponsorship Imagery, Displays, Promotional Advertising and Advertising and Clothing Merchandise. 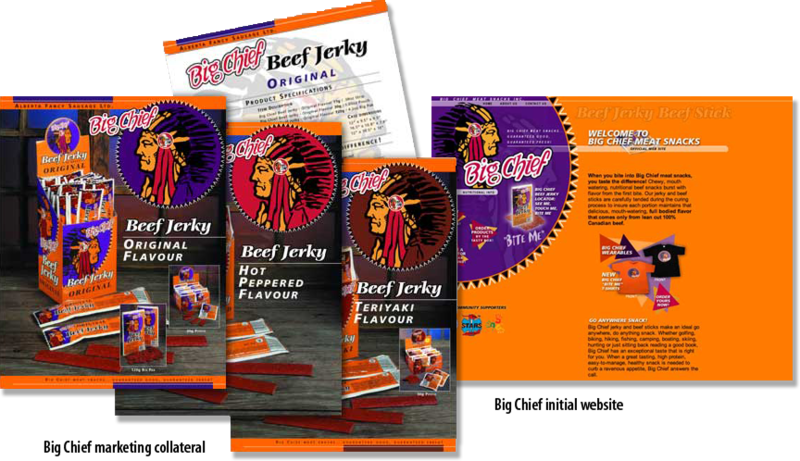 The new Big Chief Beef Jerky brand has resulted in becoming a leader in the ‘meat snack’ category, increased revenues and the most recognized brand in their category within Canada.